London is a city on wheels - a future city like you've never known before. In the terrible aftermath of the Sixty Minute War, cities which survived the apocalypse became predators, chasing and feeding on smaller towns. Now London is hunting down its prey, getting ready to feed. But as the chase begins, Tom uncovers a secret - a secret full of deadly consequences. Soon he is plunged into a world of unkillable enemies, threatened by a weapon that will tear his life apart... Winner of the Nestle Gold Award and the Blue Peter Book of the Year Award, this is a book to devour again and again. Track It. This book has been £2.63 within the past year. Log In to track Philip Reeve on eReaderIQ. 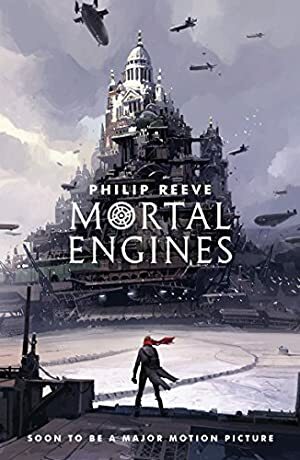 to be notified each time the price drops on any book by Philip Reeve. to stop tracking Philip Reeve. We started tracking this book on March 9, 2012. This book was £4.38 when we started tracking it. The price of this book has changed 141 times in the past 2,604 days. This lowest price this book has been offered at in the past year is £2.63. The lowest price to date was £0.99 last reached on May 7, 2017. The highest price to date was £5.69 last reached on May 27, 2015.